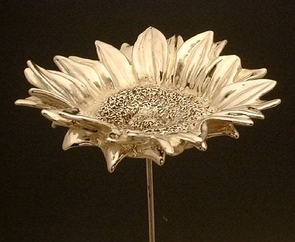 Beautiful Artisan Large Sterling Silver Sunflower Model Beautiful artisan large sterling silver (NOT silver plated) sunflower model. 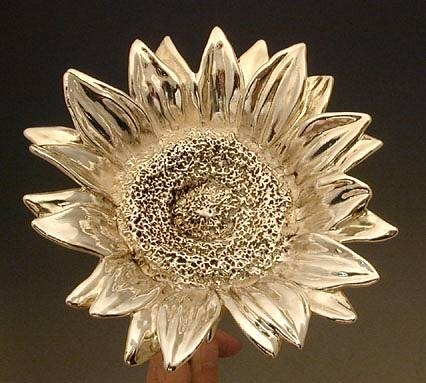 Beautifully executed as an highly detailed sunflower with superb attention to details. This item was made in the electroforming method. A wonderful item bound to make an excellent addition to any silver collection. Measurements: Length: 44.5cm. / 17.52in. Weight: 98gr. / 3.151oz. Marks: 925 for sterling silver.